The 2018 growing season saw fewer herbicide drift complaints in the Mid-South when compared to the previous season. 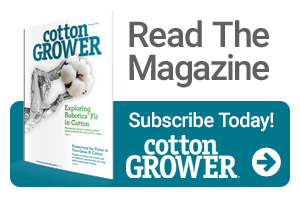 The 2017 season had witnessed the widespread introduction of the XtendFlex weed control system in cotton. The drop-off in reported instances of drift was especially evident in Tennessee, where 2018 mid-season drift complaints had been effectively cut in half from the previous year, according to Dr. Larry Steckel, University of Tennessee Extension weed specialist. The reasons for this positive development are varied, Steckel says. Steckel says he was very pleased with how Tennessee farmers responded to the drift challenges in 2018. Mid-South Extension weed experts continue to emphasize the importance of equipment in the ongoing effort to minimize herbicide drift in the region. Broadcast hooded sprayers, Steckel says, can be a big help. One important aspect, however, involves proper nozzle use when paired with broadcast hooded sprayers. “It’s a little tricky, because we only can use the nozzles that are labeled,” Steckel notes. “And they’re 110-degree angles, so it depends on the setup you have on some of these hoods, because you can get splash on the end. Or some folks just believe they can use their old nozzles that they’ve had on those hoods for years – but you can’t,” he says, urging growers to follow label recommendations for nozzles. 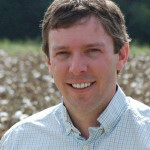 Barnes is Editor/Publisher for Cotton Grower magazine. He joined the publication staff in May 2008. See all author stories here.